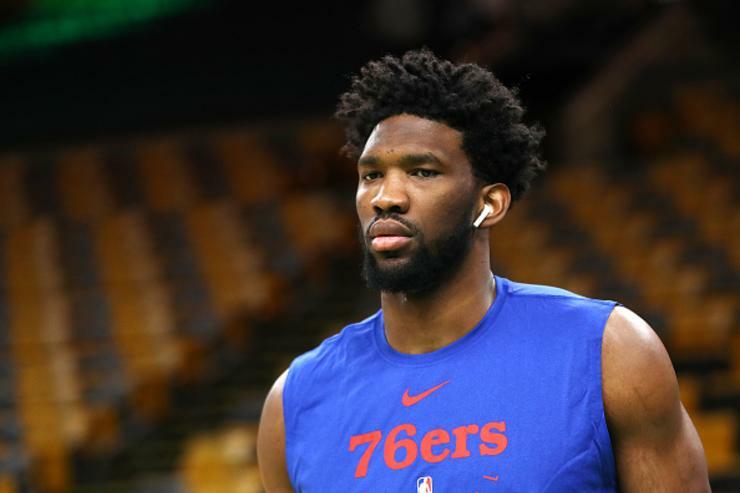 In Wednesday's showdown between Boston and the Philadelphia 76ers, Joel Embiid's team was desperate to figure out their potential rival. It all started during the third quarter when Smart tried to steal a pass intended for Embiid. Two seconds later, after Boston inbounded the ball following the stoppage in play, Embiid caught Smart trying to go by him with what appeared to be an elbow into the left rib cage. Smart obviously didn't appreciate that, and immediately shoved Embiid in the back once he got to his feet. Smart received a Flagrant Foul 2 and an automatic ejection for the incident with Embiid. Rozier, however, poked fun at Philly for their reaction with the win and said that he "thought the confetti was going to drop" after the game. "We feel like we can beat anybody in this league". Boston wasted a 15-point lead and eventually fell to the Sixers, 118-115. "I didn't see it coming".